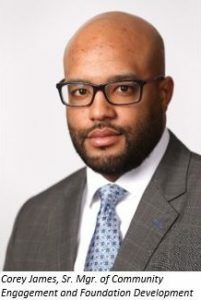 The NBA Cleveland Cavaliers have named Cleveland-native Kevin Clayton as Vice President of Diversity, Inclusion and Engagement, a newly created position for all organizational properties including the NBA Cavaliers, AHL Cleveland Monsters, G-League Canton Charge, AFL Cleveland Gladiators, NBA 2KL Cavs Legion, and Quicken Loans Arena. In his new role Clayton will lead the strategy, program planning, and execution for diversity and inclusion initiatives to strengthen and expand the organization’s efforts to maintain a robust, welcoming, and inclusive workplace culture. He will also work closely with the organization’s senior leadership group and serve as a mentor, promoting additional educational programs and perspectives on the importance and value of diversity and inclusion throughout the organization. In addition to facilitating a deeper engagement internally, Clayton will also work to further enrich the organization’s community relationships externally. The Cavaliers have a long-standing respect and appreciation for diversity and inclusion. 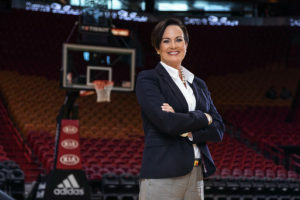 The team is proud to have one of the highest minority full staff percentages across all major league sports, as well as ranking in the NBA’s top five franchises for women and women of color at the Vice President level and above. Additional efforts were recognized in 2018 when the team was awarded the “Best-in-Class Award” for Senior Management Diversity by the Greater Cleveland Partnership (GCP). Clayton comes to the Cavs from Bon Secours Mercy Health in Cincinnati, where he served as the Chief Diversity and Inclusion Officer. Prior to that, Clayton was the Chief Diversity and Inclusion Officer for the United States Tennis Association. 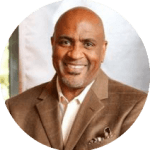 He also served as the Corporate Vice President of Global Diversity at Russell Corporation and as the National Vice President of Diversity and Inclusion with the American Cancer Society. Clayton earned his Bachelor of Arts in business administration and psychology from Wilmington College (Ohio). He has four daughters, a granddaughter and a grandson. Corey James will also step into a new role as Senior Manager of Community Engagement and Foundation Development. He begins his 12th year with the Cavaliers organization in this new position after spending the last five seasons as the Senior Manager of Partnership Marketing. James originally joined the Cleveland Cavaliers as a Ticket Sales Account Executive in June 2007. James’ heavy involvement and leadership with the Cavaliers annual Black Heritage Celebration and the Marcus Graham Project, an organization whose mission is to create opportunities for diverse individuals in the fields of media, marketing and advertising, has helped inspire and lead him into this new role, where he will continue to use his passion for engaging underrepresented groups. James is a graduate of The Ohio State University. He currently serves on the board of ­the Ohio State Alumni Association and Associate Board of the Greater Cleveland Sports Commission. He is also active with Black Sports Professionals (BSP), The Real Black Friday and is a member of Kaleidoscope Magazine’s 40/40 Club. 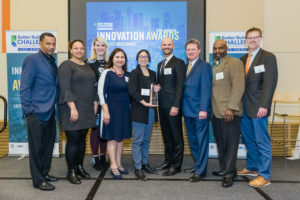 The Los Angeles Convention Center (LACC), owned by the City of Los Angeles and managed by AEG Facilities, was recently honored with the Los Angeles Better Buildings Challenge (LABBC) Innovation Award for its significant energy savings. In continuation of the LACC’s sustainability education and engagement, the facility will go dark for one hour on Saturday, May 30 in honor of World Wildlife Fund’s Earth Hour. From 8:30 to 9:30 p.m., the LACC will turn off its nonessential lights to join millions of individuals and organizations in support of climate action and protecting nature. For more information, contact Michelle Riehle-Ludtke at mriehle@lacclink.com. Comcast Spectacor, The Cordish Companies and Populous announced plans for a $50 million, next-generation esports and entertainment venue in the heart of the Philadelphia Sports Complex. 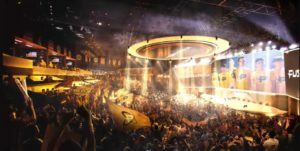 Fusion Arena, future home to the Philadelphia Fusion esports franchise, will sit up to 3,500 guests and stand as the western hemisphere’s largest ground-up, purpose-built esports venue. In addition to serving as a premier destination for competitive gaming events and elite training, Fusion Arena’s flexible and adaptable design lends the opportunity for 365-day activation to host a variety of live entertainment programming and experiences, truly a first-of-its-kind venue for the next-generation consumer. Eliciting the venue’s first wow is the arena’s exterior, a sleek and dynamic skin that draws inspiration from the hardware powering esports’ meteoric rise around the globe. The incorporation of industrial materials throughout Fusion Arena’s design pays tribute to Philadelphia’s heritage as the “workshop of the world.” A captivating 6,000-square-foot public entry will greet guests as they enter the space with 2,000 square feet of interactive media surface hovering 30 feet above them. The arena itself will offer unique seating experiences such as balcony bars, club seats with USB ports, flexible loge boxes and exclusive suites. Additionally, nearly 10,000 square feet will be dedicated to a training facility, broadcast studio and team offices. The training facility separates the Fusion from the pack, offering an unrivaled experience and development opportunities for players. Construction on Fusion Arena is set to begin this summer. Fusion Arena continues Populous’ global footprint in esports venue design. Populous debuted Esports Stadium Arlington in November, the most robust esports venue in North America. And earlier this month, Brian Mirakian spoke at SXSW and discussed how esports venues can bring cities and sports teams new revenue streams, increased commerce and development and reinvigorated neighborhoods.